Many companies are moving business-critical applications to the cloud as a way of maximizing IT efficiency, minimizing IT costs and improving the overall agility of business operations. Although wireless networks have been slower to adopt this transition, with more than 90% of the Wireless LAN (WLAN) market still delivered on-premises controllers, this is rapidly changing. 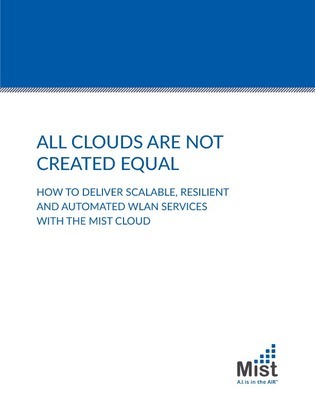 Access this white paper to learn how to deliver scalable, resilient and automated WLAN services via the cloud.